We attended a preview of this show a couple of days ago at BAFTA, London. I had heard some outline of what the show was about but intentionally decided not to research it before seeing it in person. 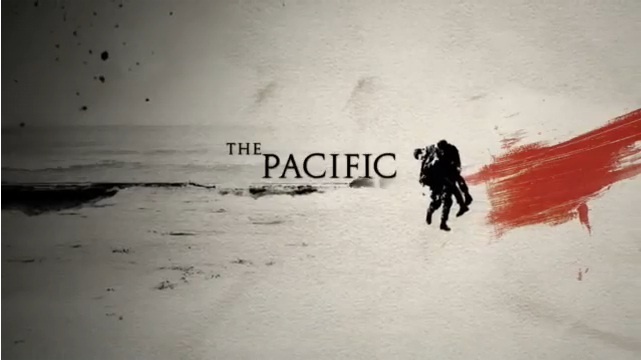 The first two episodes were shown back-to-back, complete with their opening and closing title and credit sequences. This was just as well – there was a whole lot of onscreen battle action and we needed the break in pace! The video and general technical quality of the work was simply stunning. We found out after the showing that the entire production was shot on film which was subsequently digitised for post-production. By capturing the scenes on film, the cinematographer believes he has captured the most “honest” image he can – and if the end result is anything to go by he is not wrong. Flesh tones in particular were vibrant without over-saturating – yet there was a very “digital” cleanliness to every shot – particularly the many night-time scenes that in most other films tend to be very grainy. The only criticism I can offer of the video work itself is that there are a LOT of handheld scenes. That’s great in that it tells the story from a first-person perpective – or at the very least a fly-on-the-wall documentary style. The problem is that when viewed for extended periods on a large screen, motion-sickness can be induced – especially when this technique is used alongside some very jarring material depicting the death and destruction of war. Onto the content – without wishing to give anything away to those who’ve not seen it yet – if you’re expecting another “Band of Brothers” or “Saving Private Ryan” then think again. Both those titles focussed very much on the personal stories of those shown onscreen. This series sets out to do something different – to show the effects and costs of war, without focussing on any one individual or group. My educated guess is that this might well be due to the fact that they could not seek the mentoring/fact-checking involvement of the surviving soldiers who fought in the battles in the way they were able to do particularly for “Band of Brothers”. With all of this in mind, neither episode really gripped me in the way that “Band of Brothers” had. Perhaps this is because we don’t really get to see so much of the characters, perhaps because each episode seemed so detached from the other in terms of setting and plot? It feels like someone has taken all the best bits of “Saving Private Ryan” and “Band of Brothers” and put them all together in one series. Which is great, except that this product seems to miss one vital aspect – the hook. What is it that will keep me intrigued enough to keep coming back to this series? The technical prowess alone can’t keep this thing alive, and if I’m honest I’m not sure I see the mass appeal. So my general impression of this piece is that the series is great, but I’m not sure I’d pay for a subscription just to see it go out live on air (it starts on Sky in the UK at Easter time). I’d love to own the set on DVD or Blu-Ray if I ever bring myself to get a compatible player and display. See it if you can – but don’t expect anything more than snippets of history extremely well re-enacted.